Well done on having the bottle to review this movie and make a great job of it – I’ve steered clear of blogging it because it’s had so much coverage. You’re absolutely, dead-on, 100% right about it having more in its favour than great visuals. They can say all they like about how every skyscraper window was painted by hand, or how more colours of cel paint were used than the human eye is able to discern, but the bottom line is that it’s a classic that explores so much more. No amount of hype, repeated viewings or pointing out how the manga expands on every aspect (yes, I’d say it’s a must-read) can take away the fact that it’s a masterpiece of a film that’s more thematically complex than the visceral violence might indicate. It doesn’t make it into my ‘top ten’ any more, but it’s a movie I still get much thought and entertainment value out of, even now. 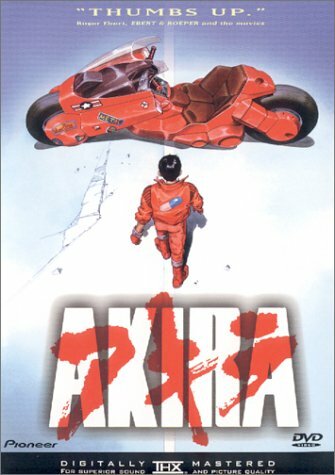 In closing, when you ask non-fans what anime movies they’ve seen, it’s either the more recent and Oscar-winning Spirited Away or Akira. That says it all.